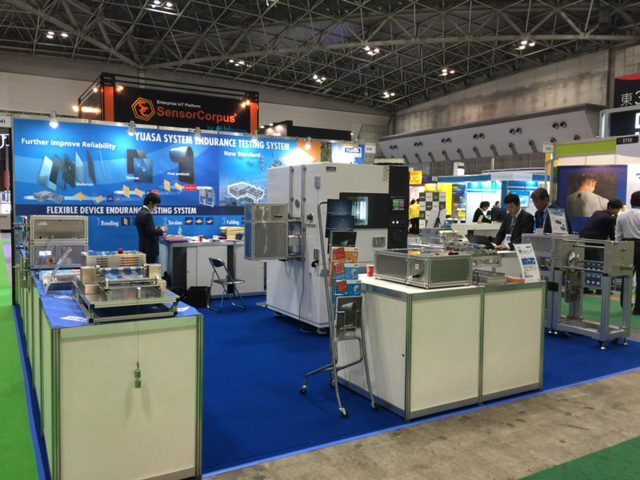 Thank you for visiting our booth at SEMICON Japan 2016. We really appreciate to visit our booth at “SEMICON Japan2016” during Dec. 14th -16th at Tokyo Big Sight. At that exhibition, we introduced a variety of endurance testing system and environmental endurance testing system which environment integrates with testing motion. These systems have received many good reputations as ever. In addition, many people give us some attention for conductor resistance measuring system inspecting the change of sample. Fortunately we have received many expectations and opinion from our customer who already using the testing system. If you have any further questions, please feel free to ask us. Copyright © 2019 YUASA SYSTEM Co., Ltd. All Rights Reserved.